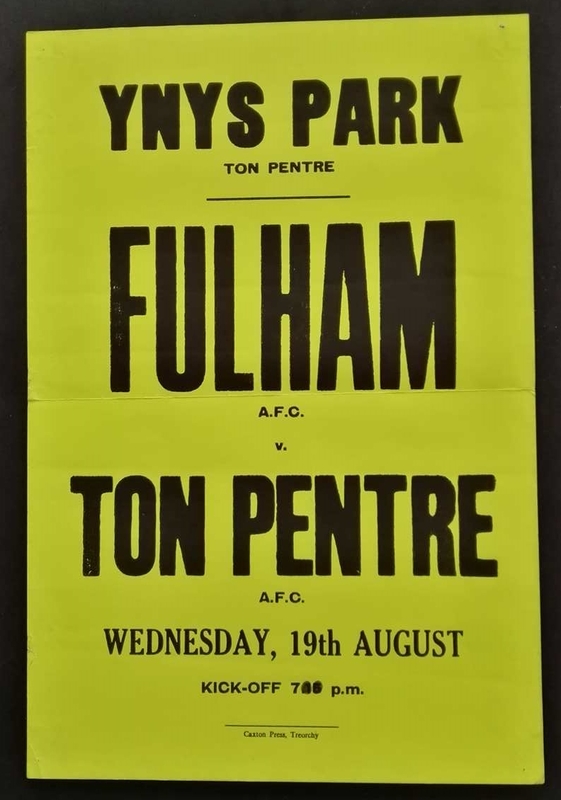 Back in the 1980s, Ton Pentre AFC faced Fulham FC in a hotly anticipated pre-season friendly at Ynys Park. As far as we know, no team sheets or programmes were ever produced for the game, so this fluorescent yellow original poster is one of the few things left to commemorate the game. If anyone happens to know the score, we’d like to hear from you!